Welcome to another edition of Connect The Chords! 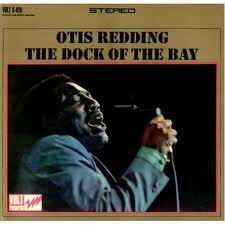 In this episode we’ll break down Otis Redding’s only number one hit Sittin’ On The Dock Of The Bay, written with Stax session guitarist Steve Cropper in 1967. First, listen to the song making mental notes of where in the lyrics you hear the chord changes. You’ll notice from the chord progression the verse starts at the I, moves to the III then the IV and then walks right back down to the II. The chorus is a simple I-VI-I-II-I-VI and the bridge is a basic I-V-IV-I for three times and finishes with a bVII-V. Once you have the chords under your fingers hum the melody and play through the song slowly listening to the changes. After you’ve done this you’ll be ready to play along with the video at tempo by ear. Good luck and have fun! Jim, i took your 1 hour class at the Asilomar retreat this year. I’m hoping you’ll be giving a class at either the Strum Shop in Roseville Ca or Nichelson music in Folsom. I’d love to attend another of your workshops.